Apple has announced the launch of its mobile payment system Apple Pay in the UAE on Tuesday, allowing iPhone users to pay with their phones. The digital wallet is now ready to use on devices running iOS 11 and works with iPhone SE, iPhone 6, iPhone 6 Plus and later – Apple Watch. While Apple Pay will be supported by UAE credit and debit cards from MasterCard and Visa, the following banks are currently accepting it – Emirates NBD, Mashreq, HSBC, RAKBANK, Standard Chartered and Emirates Islamic. In terms of merchants, Apple said that “tens of thousands of locations” are accepting Apple Pay at launch. Some of them include: Apple Store, Virgin Megastore, Caffe Nero, Marks & Spenser, Sharaf DG, Homecenter, Waitrose, Spinneys, GAP, Armani, La Serre, Bloomingdales and Harvey Nichols. The iOS apps accepting Apple Pay at launch include Ounass, Namshi and Babyshop. Apple Pay was launched globally on October 20, 2014 with six partner banks in the US. Currently, it is available in 20 countries worldwide. 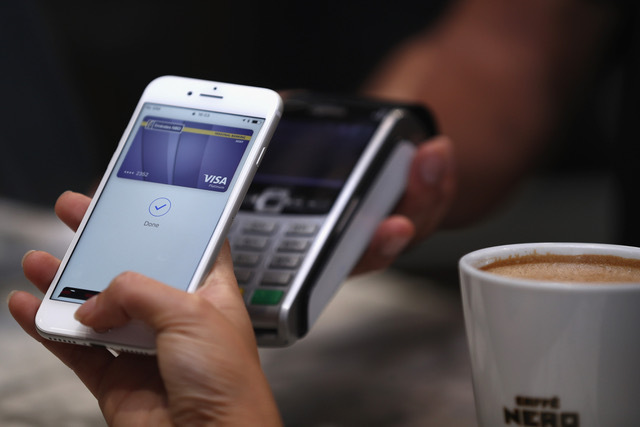 The UAE becomes the first country in the Middle East where Apple Pay has launched. First, add your credit, debit, or prepaid card to the Wallet. You will have to add your cards to any device that you want to use with Apple Pay. Once verified by the bank, the details will be stored in your device. From a security perspective, when you use a credit or debit card with Apple Pay, the actual card numbers are not stored on the device, nor on Apple servers. Instead, a unique device account number is assigned, encrypted and stored in the ‘Secure Element’ on your device. Each transaction is authorised with a one-time security code. To make a purchase at a store, hold your phone near the retailer’s contactless payment terminal, which will scan your details. You will then be asked to enter your touch ID or your passcode to complete the transaction. You will also be able to use your Apple Watch to make the purchase. For online purchases, you can select the ‘Buy with Apple Pay’ option, or choose Apple Pay as the payment method. Apple’s iPhone 6 – What Will It Feature?